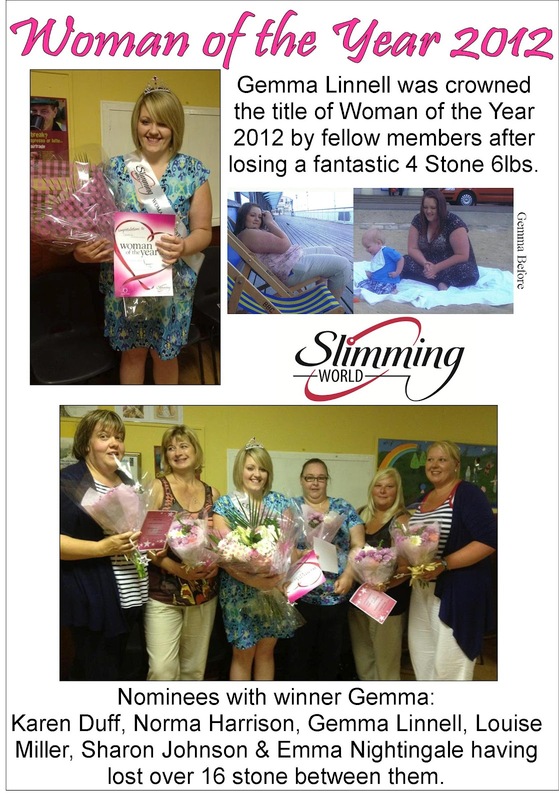 Local moms lose 24 stone! Over the past couple of weeks Slimming World groups across the UK & ROI have been hosting Woman of the Year finals. As a consultant I find Woman of the Year evening the best of the year. Its so emotional, inspiring & motivating. At Great Wyrley Slimming World we have two sessions so for the first time we had two lots of nominees and two winners! The week prior to the final I asked members to nominate their finalists. A fantastic 8 members were nominated. 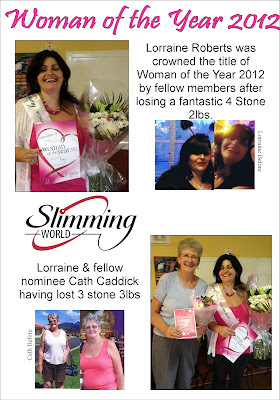 In the first session we heard stories from Lorraine & Cath who are both inspirational ladies. In the 2nd session we heard from Sharon, Karen Louise, Emma, Norma & Gemma. This was a really emotional session and both Louise & Gemma moved the whole group to tears of both understanding and happiness.